The truth is we are all unique, we have each been given different personalities, skills, talents and interests. We as women need to accept who we are, build on our strengths, stop looking at others, be strong and rejoice in ourselves. For many years I focused on what my friends did far better than I, they instinctively knew how to decorate a home, spent hours handcrafting with their children, grew thriving vegetable gardens and milked their own cows. These are wonderful interests, but what I had to discover was they were not my interests. Our Heavenly Father had given me, my own unique personality, skills, talents and interests and I needed to embrace them. So what about the guilt, how did I reconcile accepting my own interests and talents and not providing my children with opportunities to develop their own unique talents and interests? It was a matter of perspective, did providing my children with say, art opportunities mean I needed to lead a formal art lesson? 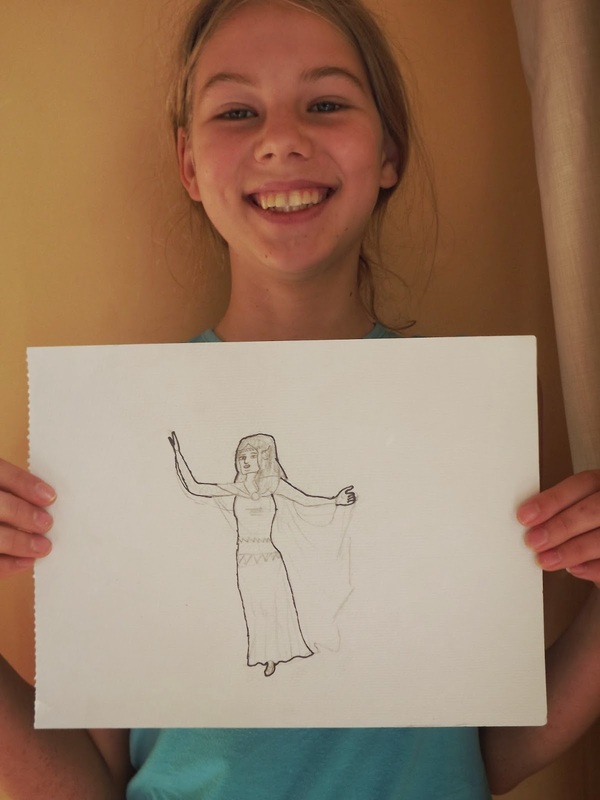 Well it turns out it didn’t, because the truth is I ‘barely tread water’ most of the time, so formal art lessons are no longer on our schedule, that was a hard reality to come to terms with, and at times my inner Charlotte Mason soul still shudders. What I do provide my children with is materials and time. Truthfully though creative materials may gather dust for months at a time and then all of a sudden, a creative pursuit becomes all engaging, generally taken up by the majority of the children and days and days are spent upon this endeavour. How to Draw books are hugely popular in our home, and we always have good drawing pads and pencils. The above picture drawn recently by Princess 11, is an example of a creative ‘boom’ when Princess discovered a previously unknown talent and interest. As well as having a variety of supplies on hand for all sorts of creative endeavours I have found I need to support our children in their creativity with time. This can be a challenge as I struggle to ‘let go’ when I see so many other areas they ‘should’ be working on. 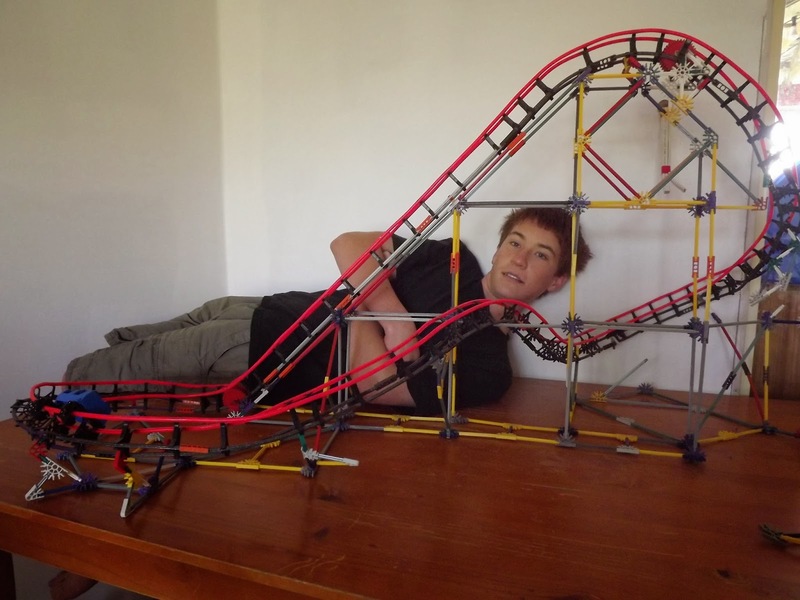 Recently when Michelangelo 14, spontaneously created K’nex models for several days, I had to ‘bite my tongue’ many times when I thought of all the lessons he wasn’t completing, such as his maths and writing assignments. Yet when I looked at the ‘bigger picture’ he was learning many other skills; engineering, science, spatial awareness etc etc. Maths and writing skills he could learn another day, and he will, but if I want to support my children in creativity then I also need to allow them large chunks of time. Don’t assume I have squashed all my ‘inner guilt’ I still struggle at times with what I’m not doing, but somehow our children are still learning and I’m far happier having embraced my own unique creativity. I think if we are to fulfill our calling and bring up children to love and serve Him with their unique talents, we'd better be modeling that behavior ourselves! Lovely drawings, by the way. So many good points you make. An enjoyable read. Wow that's awesome 😀 Princess' drawing look amazing she definitely does have talent! ^^ If she would like any pointers or anything later on could you tell her that I'd be happy to help out. 🙂 And that is one impressive model that Michelangelo has built 😮 it's huge! Yeah Mum sometimes gets a bit stressed out when I'm not doing all my lessons, but most of the time that I'm not I'm trying to do what I love which is Sewing, Drawing and Cooking which is good things to learn for life too and that's the type of career I want to follow. I do admit that I'm a bit behind but I'm working on it now. I went though all my photos from camp and I have about 600 to give you, I don't have any from sports day because I couldn't find my camera, but maybe we could exchange photos because I noticed you have some from sports day. Fostering creativity is such a wonderful thing. I came from a non-creative family who didn't see the point in those activities and I think your children will really appreciate that you've given them the encouragement and space to find that side of themselves. Thank you, it was one of those posts that took a life of their own and ran in a different direction to what I intended. Thank you! coming from someone as talented as yourself, greatly appreciated. What a lovely thing to say!! I'm humbled. It is important to me/us to encourage the children to find all their talents. Also I think we need to think of creativity in broader terms than the traditional. Consider your own renovating, that is creative and your children are watching, observing and learning.